The Menomonie Rifle and Pistol Club, LLC under the authority of the Dunn County Facilities Board establish the following rules governing operation of the Menomonie Public Shooting Range. 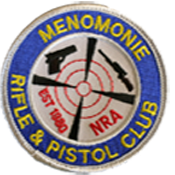 All administrative rules governing the operation of the Menomonie Public Shooting Range shall be developed by the Menomonie Rifle and Pistol Club and approved by the Facilities Committee. Such rules, upon their approval and adoption by the County Board, shall be made available to the public. These rules are to be reviewed annually and are subject to change. While shooting incidents are rare on ranges, using firearms does carry certain inherit risks. 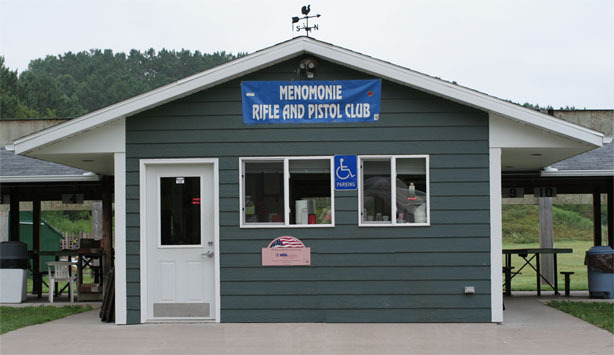 Therefore, any person present on the Menomonie Public Shooting Range property accepts these risks and absolves Dunn County, WI, and the Menomonie Rifle and Pistol Club and its members of any civil, fiscal, and criminal responsibility resulting from accidents and/or injury occurring while present at the Menomonie Public Shooting Range. The following range rules and regulations are established to ensure safety and discipline for individuals using the range as well as safety for our neighbors and surrounding communities. These rules are created to minimize confusion and save time responding during an emergency. Authorized Range Safety Officers shall have full authority over all shooting activities conducted at the firearms range. Obey all commands from Range Safety Officer, or law enforcement. It is the responsibility of all range clients to know and obey all range rules. All range clients are personally responsible for range safety and safe shooting. All shooters are responsible to immediately correct any unsafe conditions. Politely and positively respond when corrected concerning a violation of Range rules. If you observe an unsafe condition that you are unable to correct, report it immediately to range safety officer or the Dunn County Sheriff’s Department (715-232-1348). Abuse of range safety rules and safe shooting rules will result in loss of privileges at the firearms range. All scheduled range events shall take precedence over any individual or personal activity. Events (unless otherwise specified) are open to the public. Safety briefings are to be given to all groups, organizations, clubs, etc., before any shooting takes place. All emergencies and firearm injuries MUST be reported to the Dunn County Sheriff’s Department. E6007 510th Ave. Menomonie, WI. Personal Injury: After calling 911, return to the injured person and do what you can to help. Secure signed, written statements from all witnesses, including their contact information. Fire: After calling 911, clear the area. This is a county park - No hunting is allowed. Department of Natural Resources will cite any and all violators pertaining to DNR rules/regulations. All violators will be prosecuted for not following all Federal, State and County laws as stated. There will be no first time warning as all shooters will have read the rules and signed an acknowledgment that they understood said rules. All violators are subject to expulsion from the range complex. No persons impaired by alcohol or drugs shall be permitted to handle or discharge firearms on the Firearms Range. No alcohol is permitted on any range. Harassment will not be tolerated by anyone at the range. Pets, other than service animals, are not allowed on the Shooting Range unless they are under the full control of owners at all times while on the premises. All vehicles shall be parked in the designated parking area, unless authorized by Range Supervisor. Shooters under the age of 18 years old must be accompanied by and under the direct control of a parent, guardian or adult designated by the parent or guardian. No firearms or devices may be used on the range that exceed the design specifications of the manufacturer without the prior approval of the Range Supervisor. No fireworks allowed at the range No explosives are allowed. No firearms chambered for 50 cal. BMG cartridge are allowed. No tracers or armor piercing rounds are allowed. No fully automatic firearms are allowed, exception, law enforcement and military. No firearms equipped with bumpstocks or binary triggers are allowed. Rules for Bows and Arrows are the same as for firearms. All persons must register with the Range Supervisor before any firearm is un-cased, or in the case of un-cased firearms, brought from the vehicle. All firearms shall be unloaded and enclosed within a carrying case until the shooter is on the firing line and the Shooters make ready command is given. All firearms must be unloaded and cased or holstered before removing them from the firing line or the range. Upon “Cease fire” command, everyone is to stop shooting immediately and wait for further instructions. While others are down range, all shooters must stay behind the yellow line and may not handle firearms. Keep the action of the firearm open at all times except when actually shooting or holstering the firearm. Any firearms requiring maintenance or sight adjustment shall be pointed downrange and cleared of all ammunition. If others are waiting to shoot, supervisors will limit shooting time to one hour of and require shooters to use only one firing point. Clay pigeons in designated area. Other targets approved by the Range Supervisor on duty. No shooting at target stands, the Sky Barrier, or any object containing material that may cause potentially dangerous debris or ricochets. Shoot only so that the projectile impacts the backstop berm. Targets may only be placed on approved target stands. All shooters are required to retrieve up all targets, store target stands they used, and pick up all spent ammunition casing when finished. Failure to retrieve such targets and pick up casings shall be considered littering and subject the violator to possible fines and loss of shooting privileges. Shooters must clean their area after each use. Clean up your area after firing by placing all trash, “spent” casings, shells, boxes, etc. in the appropriate containers provided. Remove “live” or “dud” ammunition from the range or place in designated container. Guns should be stored so they are not accessible to unauthorized persons. Always keep the gun unloaded and action open until ready to use. Know your target and what is beyond. Whereas, Dunn County presently holds title to sites on which public shooting ranges are located, and whereas, it is the opinion of this County Board that said shooting ranges be maintained and operated by organizations other than the County; Now, Therefore, Be It Resolved that the Committee on Conservation, Tax-Deed Lands and Resources be and they are hereby authorized and directed to supervise the present shooting ranges, that are located on county-owned site, in the town of Red Cedar, on which public shooting ranges are located and Be It Further Resolved that said Committee on Conservation, Tax-Deed Lands and Resources be and they are hereby authorized and directed to negotiate with the appropriate organizations, for the operation and maintenance of said shooting ranges, to a standard prescribed by the said Committee. The Menomonie Public Shooting Range is open to the public in accordance with the established Standard Operating Procedures (SOPs). Range Board Members are appointed, as being one member from each of the following groups, Dunn County Fish and Game, Alliance of Dunn County Conservation and Sports Clubs, Dunn County Parks Dept., Menomonie Rifle and Pistol Club, and a member who is a local resident to the shooting range. Dave Taylor Dunn County Parks Dept. 31.01 TITLE. This ordinance may be cited as the Dunn County Shooting Range Ordinance. 31.02 STATUTORY AUTHORITY. This Chapter is adopted pursuant to the authority granted by §§ 59.51, 59.54(6) and 895.527, Wis. Stats. 31.03 PURPOSE. The purpose of this Chapter is to promote the health, safety and general welfare of Dunn County and to protect, safeguard and regulate the public use of the Dunn County public shooting ranges located in the Town of Red Cedar, Town of Colfax and the Village of Boyceville. 31.04 DESTRUCTION OF COUNTY PROPERTY UNLAWFUL. It is unlawful for any person to destroy, molest or deface any natural growth or natural or archaeological feature or any county property on any area of the Dunn County public shooting ranges and to enter or be in any building installation or area of the Dunn County public shooting ranges that may be locked or closed to public use or contrary to posted notice. 31.05 DESTRUCTION OF PROPERTY OF OTHERS UNLAWFUL. It is unlawful for any person to destroy, molest or remove the property of others on any area of the Dunn County public shooting ranges. 31.06 PERMITTED USES. The Dunn County public shooting ranges shall be used solely for the purpose of the legal, safe and responsible discharge of firearms at authorized targets. Authorized targets for use at a Dunn County public shooting range shall be approved under Section 31.18 by the Facilities Committee. Users of any shooting range must comply with all other state and federal laws and regulations governing the discharge of firearms. A. Discharging a firearm by any person on any area of the Dunn County public shooting ranges at any time other than the hours established pursuant to § 31.09 or at any time a duly authorized agent of the County (Range Supervisor) is not present. B. Use of fully automatic weapons operated on fully automatic or burst mode. However, this prohibition shall not apply to the use of fully automatic weapons on fully automatic or burst mode by law enforcement officers as defined in § 165.85(2), Wis. Stats; or members of the U.S. Armed Forces. The Facilities Committee may prohibit discharge of other weapons and firearms pursuant to Section 31.18 of this Ordinance. 31.08 FIRES. It is unlawful for any person to start, tend or maintain any open fire or burn any refuse on any area of the Dunn County public shooting ranges. 31.09 HOURS. It is unlawful for any person to be present upon any area of the Dunn County public shooting ranges at any time other than during regular scheduled hours when the shooting range is open to the public, as posted in accord with § 31.18. This prohibition shall not apply, however, to law enforcement officers, as defined in § 165.85 (2), Wis. Stats., or a member of the U.S. Armed Forces nor shall it apply to the shooting range attendant or other agents or employees of the County charged with the performance of official duties or responsibilities relative to its operation. 31.10 HUNTING. No person shall take, catch, kill, hunt, trap, pursue or otherwise disturb any wild animals or birds in any area of the Dunn County public shooting ranges. 31.11 CONSUMPTION OF INTOXICATING LIQUOR OR FERMENTED MALT BEVERAGE PROHIBITED. No person shall consume any intoxicating liquor or fermented malt beverage on any area of the Dunn County public shooting ranges. 31.12 PARKING. No person shall park, stop or leave standing, whether attended or unattended, any vehicle in any manner as to block, obstruct or limit the use of any area of the Dunn County public shooting ranges. 31.13 PEDDLING AND SOLICITING. It is unlawful for any person to peddle or solicit business of any nature whatever, or to distribute handbills or other advertising matter, to post unauthorized signs on any lands, structures or property on any area of the Dunn County public shooting ranges or to use such lands, structures or property as a base of commercial operations for soliciting or conducting business, peddling or providing services within or outside of such lands, structures or property unless first authorized in writing by the county or its duly authorized agents. 31.14 PETS. It is unlawful for any person to suffer his or her pet or domestic livestock to be upon the shooting range proper. Pets in the parking lot area shall at all times be kept on a leash not more than eight feet long. No person shall suffer his or her pet to deprive or disrupt the enjoyment or use of any area by others. 31.15. REFUSE. It is unlawful for any person to discard or leave any refuse, sewage or other waste material on the ground on any area of the Dunn County public shooting ranges or to dispose of any such refuse or waste material in any manner except by placing it in receptacles or other authorized locations provided for such purposes. 31.16 TRAFFIC. No person shall operate or park any unauthorized vehicle upon the shooting range proper or contrary to posted notice. 31.17 EXCEPTIONS. Nothing in this chapter shall prohibit or hinder the county's duly authorized agents or any peace officer from performing his or her official duties. 31.18 ADOPTION OF REGULATIONS AND LIMITATIONS ON USE OF SHOOTING RANGE TO BE POSTED. A. The Dunn County Facilities Committee shall approve of and from time to time amend regulations for use of the shooting range, including, but not limited to, hours and days of operation. In the event of circumstances which necessitates protecting the public health, safety and general welfare that all or any of the above Dunn County public shooting ranges be closed or restricted to public access, the Dunn County Administrative Coordinator shall have the power to close such ranges or restrict their use. Any actions under this section shall be subject to review of the Facilities Committee at its next scheduled meeting. B. No person shall enter upon or use the shooting range in any manner, which is in conflict with this chapter, nor contrary to posted regulations prepared pursuant to the authority of the Dunn County Facilities Committee. 31.19 OPERATION AND MAINTENANCE OF SHOOTING RANGES. The Dunn County Facilities Committee shall be authorized to negotiate agreements with the local sporting/shooting clubs for the operation and maintenance of the Dunn County public shooting ranges. 31.20 VIOLATIONS AND PENALITIES. Any person who violates this chapter shall, upon conviction, be subject to a forfeiture of not more than $200 together with the costs of prosecution and penalty assessment and, in default of payment of such forfeiture and costs, shall be subject to imprisonment in the County jail until such forfeiture and costs are paid, but not exceed 30 days. Adopted on May 21, 2008.